This self illuminating safety device has been specially designed for marking equipment and personal property that you may need to find in the event of an emergency at night. 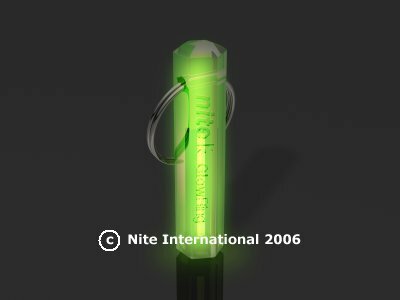 The GlowRing Safety Marker is made from unbreakable, clear but vibrantly tinted polycarbonate encasing a Gaseous Tritium Light Source (GTLS) which does not require batteries or charging by sunlight. 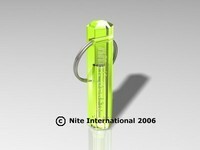 Water resistant to 30m and visible from 30ft in complete darkness the Nite Glowring will glow continuously for around 10 years. Length 48mm, width 10mm, ring dia. 23mm.